Appeared not to do it completely on purpose. 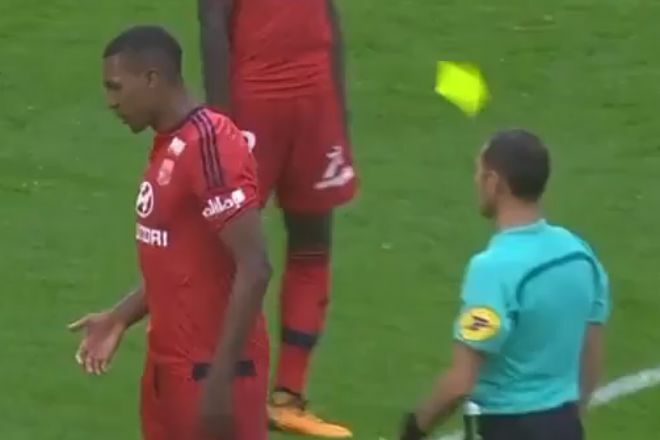 See Lyon’s Marcelo sent off knocking the yellow card out of the referee’s hand after being booked during a Ligue 1 clash at Angers on Sunday. With the visitors leading 1-3, the Brazilian defender was to be booked for a tough tackle on the edge of the penalty area. Marcelo threw his hands up in the air, frustrated with the official’s decision, but managed to flick the yellow card onto the ground in the process. As the realisation of what he’s done dawns on the player, the referee brandishes a straight red.